Would there be a dedicated power sub-station for GK Industrial Park? If yes, what is the capacity? Power supply will be from TNEB through a dedicated feeder provided for the Park with the capacity of 110/22 kV. There is a proposal to provide HT and LT line to generate 5MW power which is under process within the next 12 months. A 3rd party is being sourced for providing HT power supply. What is the unit cost of Electricity to operate from the Park? The present power tariff charged by TNEB is Rs. 5.50 per unit. Would there be voltage fluctuations/tripping? At present the source is ground water. TWAD is investigating to supply from the nearest source. Would the plots be available on lease? Yes, it will be looked at on a case-to-case basis. Within what period of time will a BTS be built? A BTS unit can be built between 4 to 6 months. Is there a Worker’s Hostel/Supervisor’s Colony near the Park? An independent Park managed Workman’s Hostel has been built within the Park to accommodate the workmen belonging to the various industries that would locate themselves inside the Park. 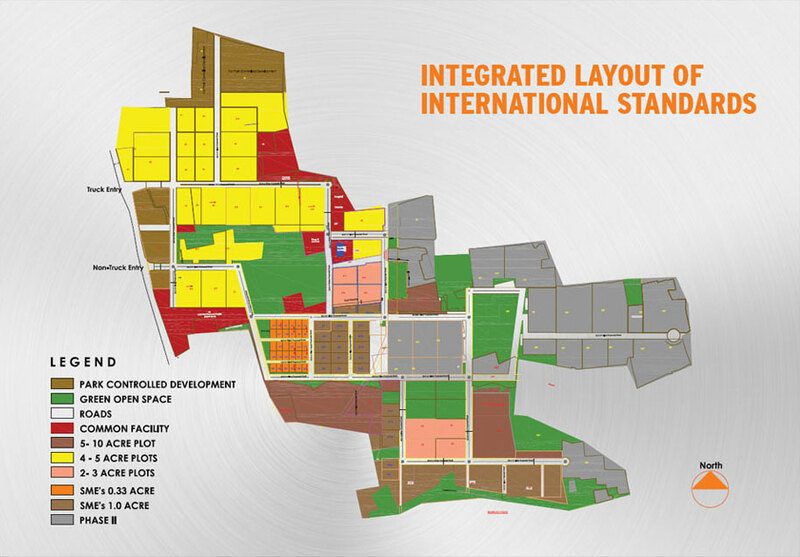 Supervisor’s Colony and other housing developments are planned within the Park as this Industrial Estate is based on a free hold ownership, in order to avoid socio-legal issues associated with non-owner occupation. How long would it take for the Technical Infrastructure to be ready? The Technical Infrastructure will be ready within 1-2 years from the commencement of the Park. What is the procedure for setting up a unit in GK Industrial Park? The procedures for setting up a unit would be as per the Tamil Nadu Industrial Policy guidelines. What are the approvals required to setup units in GKIP? Approvals would vary based on the Type of Industry and the Shed details. A Facilitation task force is available to help you set up a unit inside GK Industrial Park. Can the Park Authority help the companies based in GK Industrial Park in sourcing labour? The Park Authorities can provide assistance to the industries by providing contacts of the local employment agencies/consultants. Trained candidates from the Park’s Skill School can also be offered to the industries. What are the wages of the workers – skilled/semi-skilled and un-skilled? Are there any worker’s union problem prevailing in Trichy? The wages range from Rs.150/- to Rs.300/- per day based on the skill level. Labour climate is peaceful. Man-days lost due to labour unrest is almost nil. Would the Park provide Technical training for the workers? Yes. A Skill Development Centre will be made available, welding and related activities training can be rendered to the workers. For various other skill training, assistance can be provided from MSME. Where does the raw material for fabrication come from? Major Steel Manufacturers will have their raw material depots in the Common Facilities Centre of the Park. The fabrication industries can use the raw material from this depot. Would an in-house testing laboratory be provided within the Park? Plans to establish a NDT lab service in the Common Facilities centre is on. Would the Park charge the Unit Holders additionally for the facilities mentioned under Technical Infrastructure? The charges would be decided by the SPV/ Section 25 Company that would eventually takeover the maintenance of the Park. How would the skill development and training centre work? How would the unit-holders benefit from it? Training schedules from the Skill Development training centre can be provided to the unit-holders. Once the candidates complete their course, they can be offered employment with the Unit Holders. What kind of eco-system exists in that region? A mature eco-system of suppliers and vendors majorly in the fabrication industry has been developed over a period of 50 years. 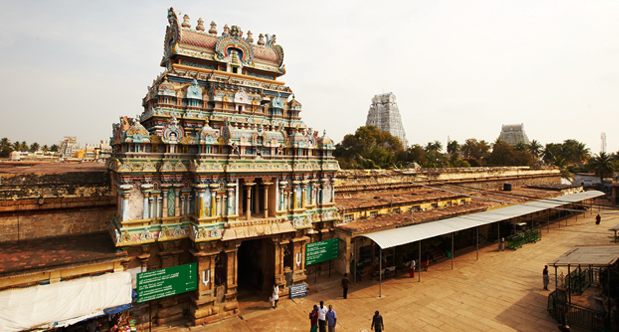 How old is the Trichy Fabrication Cluster? The Trichy Fabrication Cluster originated with the commencement of BHEL’s Trichy operations in 1965. What are the major industries in Trichy apart from BHEL? The largest contribution to the fabrication Industry in Trichy is the Bharat Heavy Electricals Ltd,(BHEL), which consumes nearly 55% of the total fabrication output in the cluster. Other major industries include Caterpillar, Golden Rock Locomotive Workshop, Ordnance Factories Trichy(OFT), Heavy Alloy Penetrator Project(HAPP), Cethar Vessels, EVERSENDAI to name a few. What are the products manufactured by the Units in the Fabrication cluster and to which Industries do they cater to? The main products being manufactured under fabrication are the power equipments like boilers, heat exchangers, pressure vessels, wind mills and structures etc.. The industries supported by the fabrication cluster are Infrastructure, Railways, Ship-building, Defense equipments, Oil and gas process equipments, Textile machinery, Aircrafts, Automotive sector etc.. Does the Industrial Park come under the Industrial Zone? It is located in an industrially backward area and is approved by DTCP. Would a factory coming under any industry category ( Red, Orange or Green) be allowed in the premises of the Park? As per the Pollution Control Board(PCB) norms, factories that come under the green and orange categories would be allowed in the premises of the Park . Would only fabrication industry be allowed within the Park? All metal & machining industry would be allowed within the Park as per PCB category. BHELSIA ( BHEL Small and medium Industries Association) was formed in the early seventies and represents the interests of around 170 industrial units in and around Trichy.